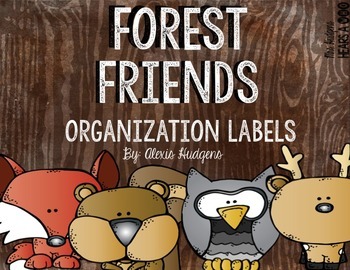 If you are looking for classroom decoration with a woodland animals theme, camping theme, or forest friends theme these are the perfect organization labels for you! These labels work excellent when attached to plastic drawers or bins to help you stay organized! 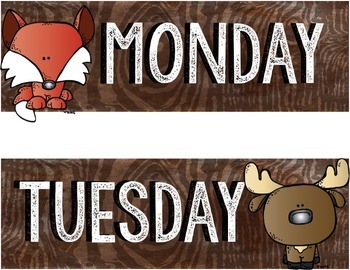 The labels include Monday-Friday in woodland brown, blue, and green and include woodland brown lables for Cut, File, Copy, and Volunteer. 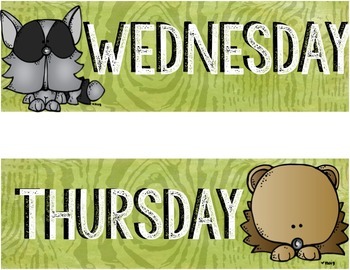 These drawer labels are great for classroom volunteers coming into the classroom to help! 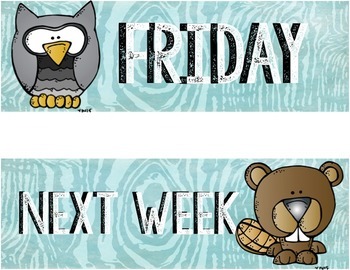 These labels are meant to be paired with all my other Forest Friends products, and will be bundled soon! For more classroom pictures and ideas, visit my blog at Mrs. Hudgens Hears a Who .